Welcome to our website for resellers. If you are no reseller we invite you to our shop at www.lauftiere.de. For our terms and conditions as well as our price list please contact us. Tottertoys are made in Germany. Find out more about our toys and us – a Family-run Business established in 1985. Tottering like a Camel, or more like a Horse? Why not like a Dinosaur, a Mule or even a Pegasus? Well so maybe let´s introduce our whole family to you. 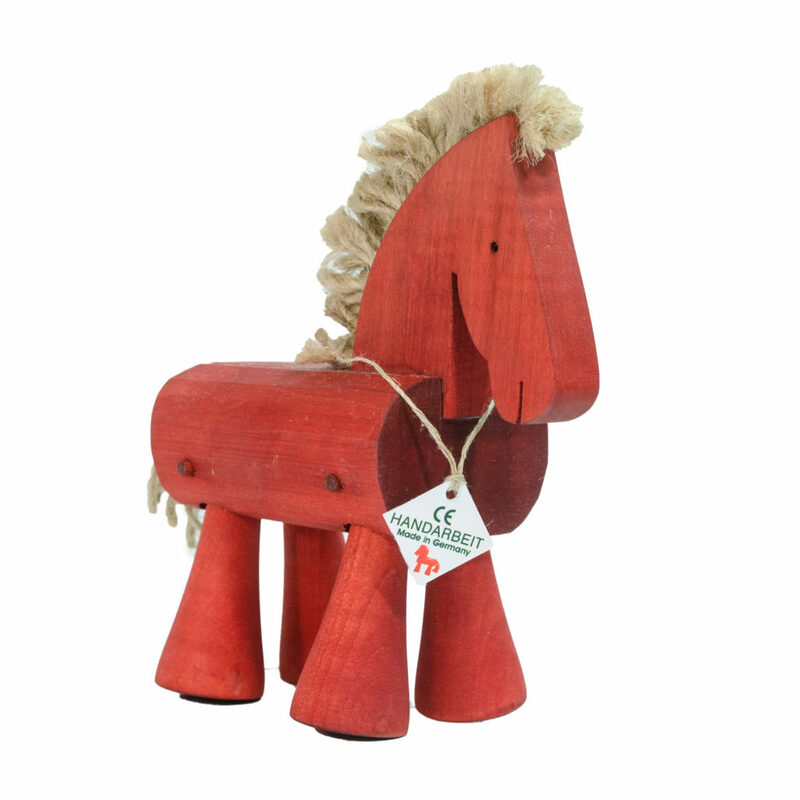 Find out about our passion and have a look into our aspect of traditional toys. We use maple. For colours we use waterbased mordant dye. For the finish we use wax. Most of our Toys are made according to the European CE Standard. Recomanded for children above the age of three years. Our design is unique and won several awards. As a family business est. in 1985 we look back on 32 years. Put on a sloping board, they walk downhill nearly by themself only through the force of gravity. Toys using this mechanism are known for a long time. Our role models therefor are historic Toys. 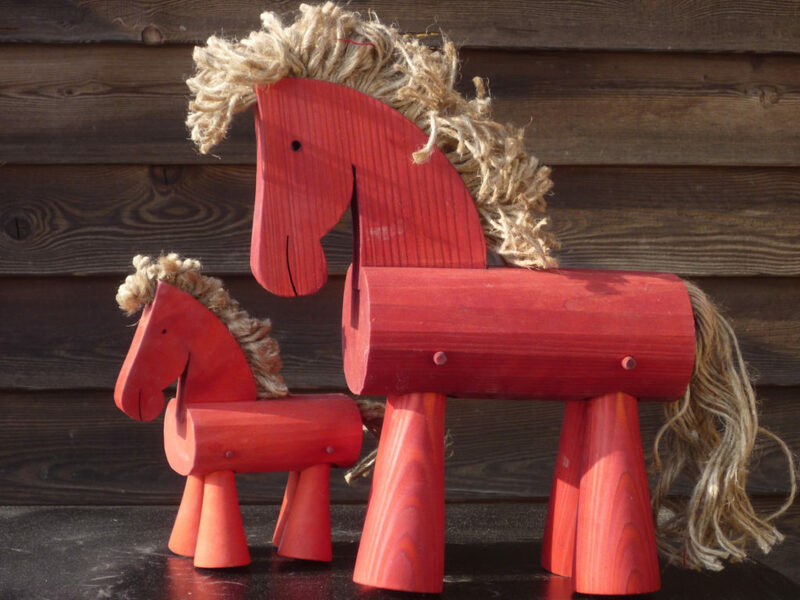 They origin from the “Erzgebirge” a German region well known for its craftswork. 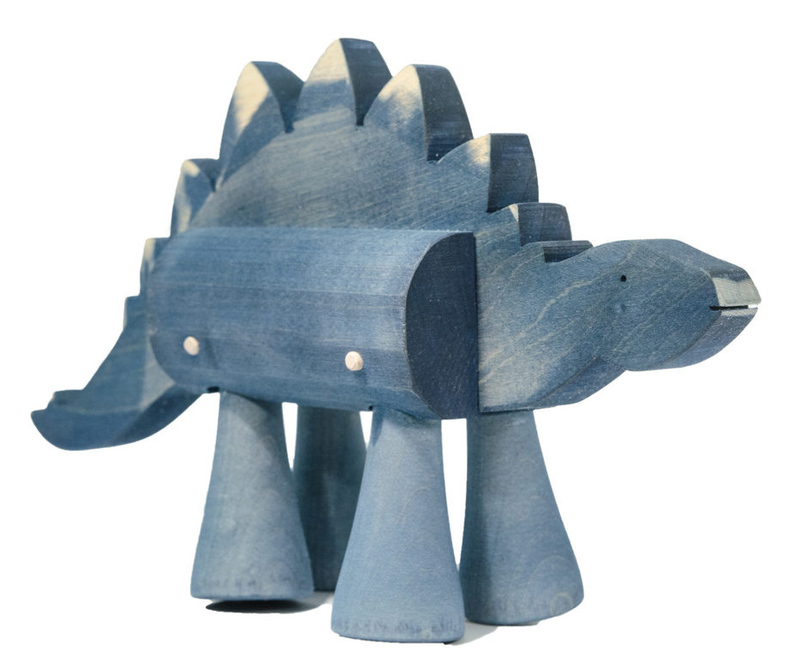 With the intention to vivify traditional toys we went back to the roots of tottertoys. 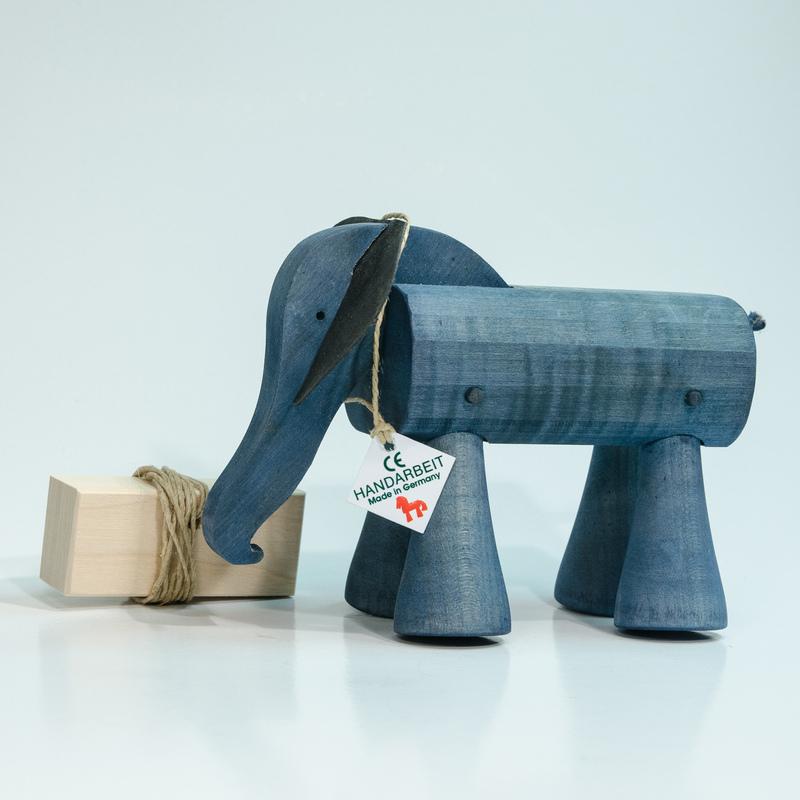 After redesigning we brought a small series production of Tottertoys to life. Handcrafted and of natural materials. 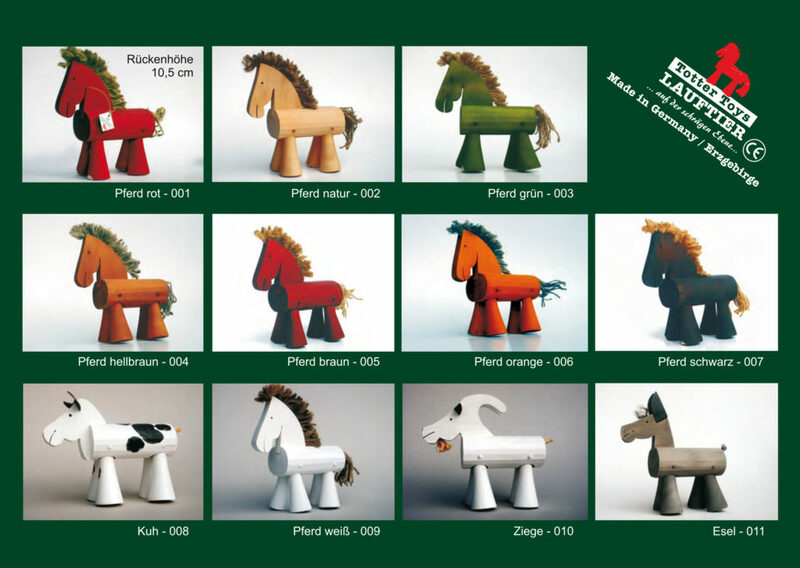 While the main body remains the same, we created 11 different Tottertoys by changing the heads, backs and tails. Download our brochure for an overview of your products. 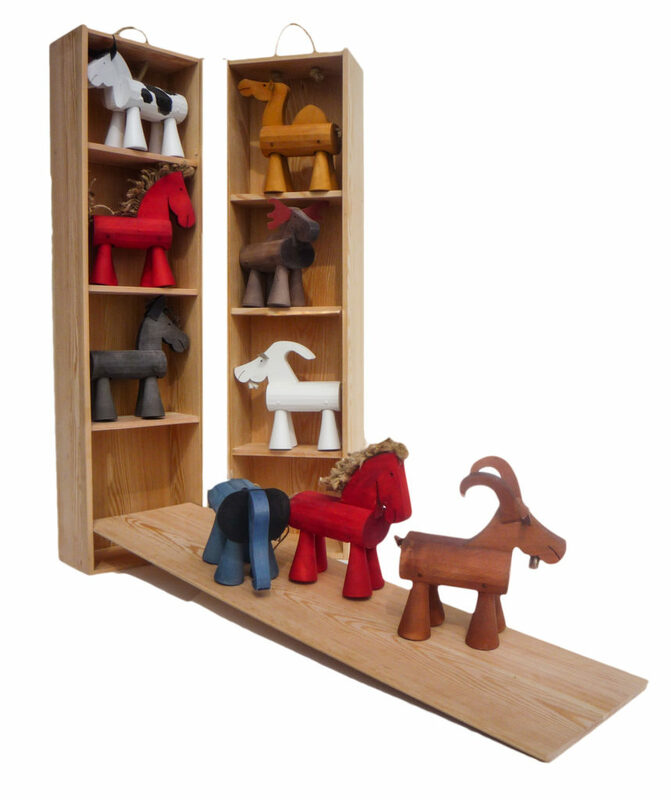 We offer running boards, stable and boxes for the presentation of our Toys in your store. We are to be found at the following markets. If you want us for your market just let us know.